Suggested by iKnowledge It’s time for a battle of mages. Saruman has some very persuasive abilities as his voice can enchant just about anyone. I’m confident Billie has a strong enough will to block this though. When you take that away Saruman is really lacking in attack spells. Meanwhile Billie has always been a very proficient fighter. She can easily take Saruman down with her telekinesis or enhanced hand to hand combat. Saruman will quickly be overwhelmed and he’ll wish he had devoted more time into being a stronger fighter. Billie Jenkins wins. This entry was posted in Battles, Billie Jenkins Battles, Saruman Battles and tagged Billie Jenkins, Saruman by dreager1. Bookmark the permalink. In my opinion, I still think Saruman has a chance. His voice increased the danger of the Snowstorm around Caradhras, he could do the same to Billie, by making the roof fall on her or her fall through the floor. If we use video game feats and powers, Saruman has the higher number. He’s also the equivalent of a fallen Whitelighter, and where Billie comes from, White and Darklighters are more powerful than human beings, even Charmed ones. Saruman and the other Istari are Maiar (Angel-like beings) on a different level to Sauron, who may be the most powerful Maia of all. Due to this discrepancy, I still think Curunir takes the win. I think its amazing you thought to pit these two random characters against each other. I love Charmed and Lord of the Rings. Its a difficult decision to make. Honestly I think it would be a similar telekinesis battle to the one Saruman and Gandalf had, although in combat Saruman can also use Fireballs, Billie has defenses against both; she can use her own telekinesis to improve her dexterity and she uses her agility and telekinesis to avoid or reflect Fireballs. Although if it Saruman can use his voice to manipulate her before the fighting starts Billie could be in trouble. It comes down to power and experience against speed and agility. Although my honest opinion is it could go either way depending on the circumstances at hand, I think id give the win to Saruman but only just, his battle with the Nazgul proved how quick and powerful he can be in combat and it seems he has more active powers at his disposal than Billie. An interesting concept all the same. 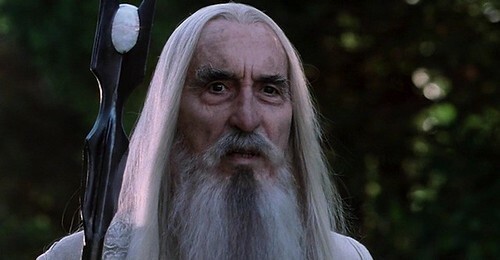 As a footnote I would liken Saruman to a fallen elder more than a Dark Lighter, he was head of the White Council who basically decided how to combat the evils of Middle-Earth, similar to the Elders. An interesting battle would be between Saruman and Gideon, two powerful leaders of good falling into darkness for their own misguided reasons.